After 3 years and 9 months blogging, this is my 1861st post. But this month I´ll take a break. In order not to be completely “forgotten”, I´ll leave a link to 30 posts picked more or less at random and in no particular order, one for each day I´m away. If any guest blogger wants to contribute during my absence just send me the text. Money Is Not Long-Run Neutral (For People Who Live Less than 200 Years) Or Is the CFS’s “Divisia” Right? The Fed is Dead on the Money Supply? The above maxim makes sense on some levels. A nation is made rich or poor by its investment in infrastructure, education, farmland, factories, work ethics and the like. Running printing presses, per se, is meaningless. But in the practical world, with wage and price stickiness and institutional rigidities, a central bank can asphyxiate an economy for decades—long enough to be the “long-run” for anybody with a money-earning life of perhaps 50 years. Case in point is Japan, wherein the Bank of Japan effectively targeted zero inflation for the 20 years after 1992, and just as effectively suffocated growth. The BoJ’s targeting of zero inflation, or even minor deflation, never worked, and once-soaring Japan fell further behind the United States, in terms of per capita incomes. Meanwhile, Japanese property and equity markets cratered, losing 80 percent of early 1990s values, before recent recoveries. Tight money and minor deflation proved a bottomless debacle. If a sociopath formed a money-worshipping ascetic cult and gained control of the FOMC (I mean, even worse than now), with the plan to cut the money supply by 66 percent in the next 33 years, would the impact be “neutral”? History suggests the sadistic FOMC cult’s monetary anorexia could stifle real growth for that full 33 years and more, based on what happened in Japan. Moreover, Japan today has a smaller economy than it would have had it tried monetary expansion. Even under Abenomics, Japan has decades of lost growth to try to recover. In brief, money is not long-term neutral. A too-tight money supply can cripple a major, advanced economy for decades on end. Which leads us to the always-fascinating Center for Financial Stability’s “Divisia” measure of the U.S. money supply, an indicator now sounding the klaxons— Divisia shows money growth nearly dead in the water. “Divisia M4, including Treasuries—the broadest and most important measure of money calculated by the CFS—grew by 1.6 percent in April 2014, on a year-over-year basis. In contrast, CFS Divisia M4 increased by 5.1 percent in April 2013 over the preceding year,” reported CFS on May 21. The CFS’s key measure of “money” is very broad, and includes negotiable money-market securities, such as commercial paper, negotiable CDs, and T-bills. The components of Divisia money are similar to the Fed’s old “L” money series, but modernized to be consistent with current market realities, states the CFS. I will leave it to others to decide what is the best measure of money supply, and even so there would follow inevitable arguments about velocity. But given the increasing flexibility of financial assets—one can sell a bond and spend the money all in an hour—the argument that broader measures of money are better rings true. The CFS’s measure of money appears to track real economic output fairly well. The sad part: I don’t think anybody is surprised that the FOMC and the Fed are putting a lid on the money supply, even as the U.S. economy grinds below capacity and inflation is microscopic. One need only to read FOMC minutes or listen to a speech or two to divine that the FOMC is fixated on inflation, and many Fedsters rhapsodize about deflation. Maybe the idea of a cabal of monetary anorexics at the FOMC is not fiction. Inflation is still undershooting the Fed’s annual target of 2%, which hasn’t been reached in two years. But Friday’s figures–along with other recent inflation measures–suggest prices are starting to pick up after a long period of dormancy. Fed officials are monitoring inflation signals as they wind down their monthly bond-buying program and debate when to raise short-term interest rates. Central bank officials consider 2% inflation a sign of a healthy economic growth. The persistently low inflation of the past two years has signaled weakness. Note that as the oil shock takes place, inflation goes up above the 2% target and real output growth falls below trend (implying that the level of real output falls below the trend level).This is exactly what the dynamic AS-AD model predicts will happen. 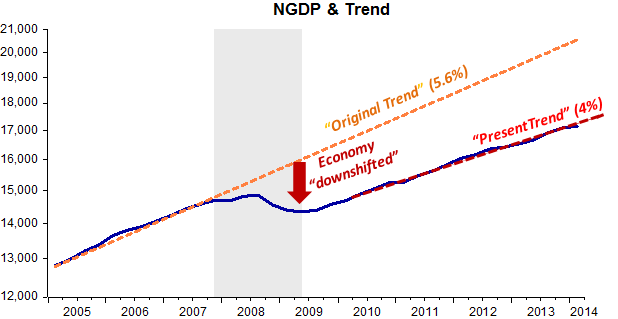 Note, however, that initially nominal aggregate demand remains growing at the trend rate (implying NGDP remains at the trend level). But then, for some reason, the FOMC goes berserk and decides it is its patriotic duty to combat the oil-induced increase in inflation, so it strongly and decisively contracts nominal aggregate spending (NGDP or AD). 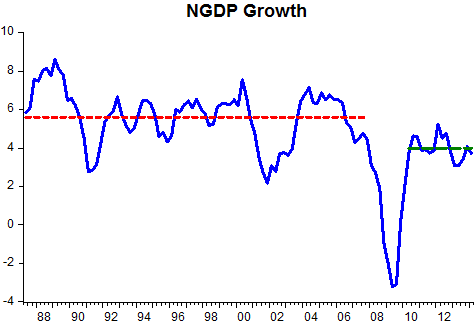 As seen in the chart NGDP drops below the trend level, with its growth rate turning negative. Real output follows suit and the economy plunges into a deep recession (dubbed “Great”). Realizing it had botched its job, the FOMC quickly tries to “make amends”. Since its “beloved” interest rate had been brought to zero, it had to concoct what it called “unconventional policies”. From the lower level it had been taken to, NGDP begins to rise at a positive (but lower rate than before), with the same taking place with real output. But a sizeable “gap” remains. So everyone´s happy, no? Not Market monetarists. They know that the Fed considers 2% inflation the sign of a “healthy economy”, so even the insufficient monetary “stimulus” that has been applied over the last few years will be “discontinued” once inflation approaches 2%. Since at that time nominal aggregate demand growth will remain below the previous trend growth, the same will be true for real output growth. In other words, the economy will have been permanently impoverished! So what? It´s the “New Normal” or the inevitable “Secular Stagnation”. And Central Bankers will remain “Heroes”, the guys who “saved” us from a second “Great Depression”. Most people don´t know that not even the “Great Depression” caused a permanent impoverishment since after a number of years the original trend level for real output was attained! But in those days policymakers were not constrained by an arbitrary small number that had to be “respected” at all times! The story just told can be summarized in a simple dynamic AS-AD model. 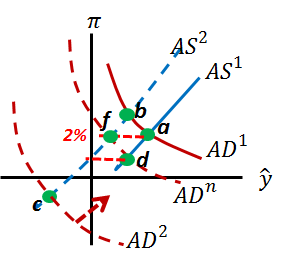 In the graphical representation of the model, the move from point a to b represents the initial effect of the oil shock, with AD growth remaining constant. Inflation rises and real growth subsides. The move from b to c takes place when the FOMC goes berserk and contracts AD growth (which becomes negative). Inflation turns into deflation and real output goes deeply into negative territory. Since then, AD growth has risen so the AD curve has shifted to the right (towards AD3). Now, two outcomes are possible. If the AS (short-run) supply curve has shifted back to AS1, there´s no way we´ll experience 2% inflation if AD growth doesn´t rise above the 4% it has averaged over the last 4 years. We´ll end up at point d. If the SAS curve has remained at AS2 (meaning the oil shock has permanently reduced the long run potential level of the economy), the lower NGDP growth will take you to the 2% target rate of inflation, point f.
In both situations the growth rate of real output will be smaller than before (obviously more so if the economy´s potential has been permanently reduced). In her final public appearance as leader of the Cleveland Fed, Sandra Pianalto said she was “very proud” of the U.S. central bank’s inflation-fighting record. Her remarks Friday capped a long career within the Federal Reserve system. Ms. Pianalto joined the Cleveland Fed in 1983, rising to become its president in 2003. She is being replaced by Loretta Mester, who will speak later Friday. Ms. Pianalto used her valedictory address to talk about inflation and its importance in the economy. “Price stability is a fundamental driver of economic growth,” the official said. She said the need to understand what’s happening with price dynamics has been a driving mission of the Cleveland Fed. Ms. Pianalto was very upbeat about how the Fed has managed price pressures. “The Federal Reserve has successfully fulfilled its mission to keep high and variable inflation in check,” she said. But the central banker added the performance of prices over the economic and financial difficulties of recent years has been bracing. Sandra, the fundamental driver of economic growth is not price stability but nominal stability. That´s the reason you have difficulties in understanding what´s going on at present! One more inflation freak gone. Let´s see if Loretta Mester is less “fixated”. This paper studies the impact of the largest deviations from price stability during the Fed´s first 100 years, with a focus on understanding the Fed´s role in impacting the economy during the post-World War I period, the Great Depression, World War II, and the Staglfation of the 1970s. I find that deflation was very depressing in the 1930s, but because of cartel and wage setting policies, and that there is no presumption that deflation is as destructive as commonly believed. In particular, the similar deflation in the early 1920s did not depress the economy nearly as much as in the 1930s. I find that the biggest impact of monetary policy during World War II was in debasing debt through inflation, which was achieved without much impact to Fed credibility. I find that the main drivers of the 1970s economy were long-run changes in productivity and the labor market, and that there may have been little that the Fed could have done at this time. In other words, deflation per se is not too bad and usually there is little the Fed can do; that being because recessions, according to intransigent RBC theorists, are always a real phenomenon. The “Great Depression” chart is revealing of the monetary nature of the depression. I stop in mid-1937 to avoid being caught by the 1937-08 recession within the depression, once again the result of Fed/Treasury bungling. While the former raised required reserves (minor effect) the later began to sterilize gold inflows (major effect. See Douglas Irwin´s “The policy mistake of 1937”). 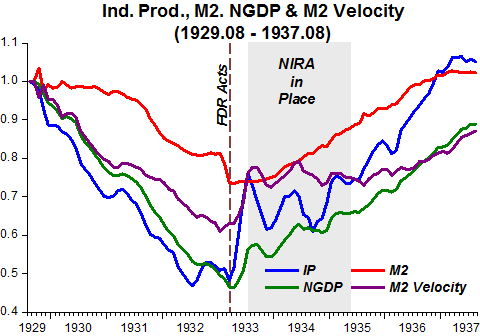 There´s no escaping a “Great Depression” if a steep fall in velocity is accompanied by a significant drop in money supply. And that was the major reason for the string of bank failures which began in late 1930, more than one year after the recession began. NIRA, which contemplated the cartel and wage setting policies, was a recovery stopper, but was not related to what gave the recession its moniker “Great”. That was the exclusive responsibility of the Fed and monetary policy. In fact as soon as NIRA is declared unconstitutional in May 1935, the trends pick up again! Why didn´t the economy reverse when NIRA was implemented? Ohanian in his VoxEU piece argues that the Great Depression was due to Hoover´s labor policies, which were very similar to the ones in NIRA. This time around, however, FDR´s “good monetary policy”, which entailed devaluing the dollar (delinking from gold) and establishing a commodity prices target were sufficient to avoid the worst! If you don´t care to go up to “meet him”, even if halfway, he´ll come all the way down to “meet you”! Where “him” is the original trend and “you” is the present trend. I´ll explain. 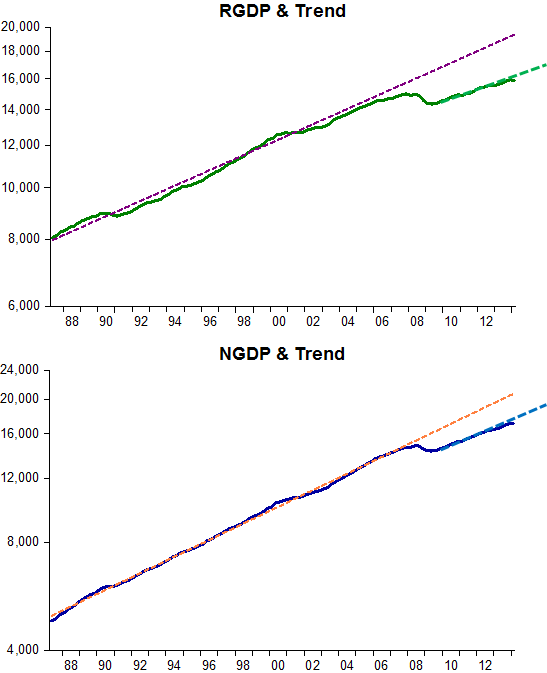 The charts show the trend level path and the actual path of real output (RGDP) and nominal aggregate spending (NGDP) during the Great Moderation (1987 – 07) and beyond. 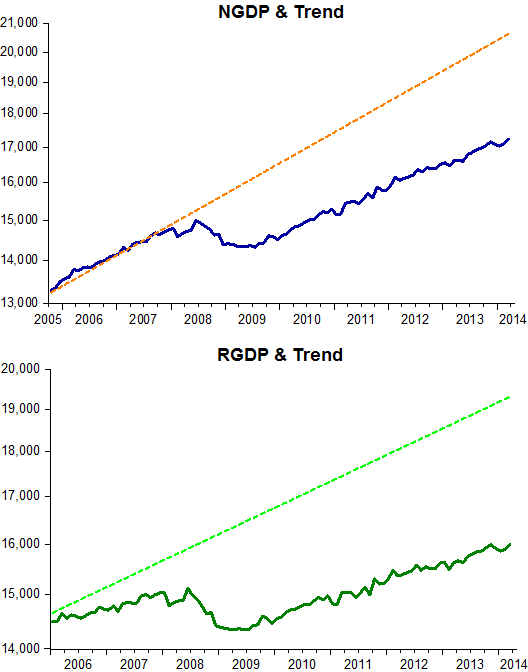 For RGDP the trend growth rate is 3.3% while for NGDP it is 5.5%. There´s no doubt that the economy was “shifted down” during what has become known as the “Great Recession”, and it looks as if this shift is “permanent”. Given that NGDP drives the process, as long as the Fed is quite happy remaining in the new lower trend level path, real output will “oblige”. The U.S. economy shrank at a 1 percent annual rate in the first quarter, but the red ink isn’t nearly as scary as it looks. In fact, the downward blip sets the U.S. up for strong growth in the current quarter covering April to June. Yes, when the economy falls below trend, it is reasonable to assume that it will rebound back to it. The only thing is that the trend it will rebound to is the new much lower one. And that´s something that makes me think that there´s a wide acceptance of the new trend. What this implies is that over time the “old trend” will, for all sorts of economic reasons, “cease to exist”, in fact coming down all the way to become one with the new trend level, in which the real economy grows at 2.2% and nominal aggregate spending grows at 4%. That is, surely, an enormous opportunity cost, and it can squarely be laid down to the obsession with inflation targeting! (Reuters) – The U.S. Federal Reserve does not have the power to fight inflation on its own, a prominent economist said on Thursday, a conclusion that challenges the very bedrock of current Fed thinking. 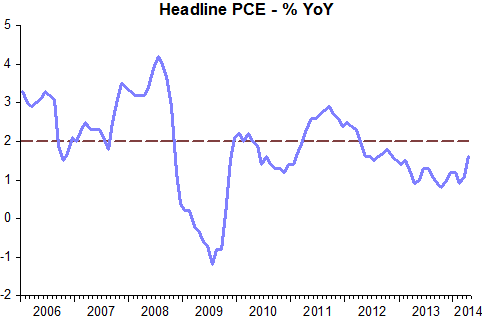 To Cochrane, inflation targeting is actually a “fiscal promise” to raise taxes or to cut spending should inflation rise too fast. Indeed, he said, the Fed’s success in defeating runaway inflation under Fed Chair Paul Volcker during the 1980s was only possible because of cooperation from fiscal authorities. That last got me completely lost! 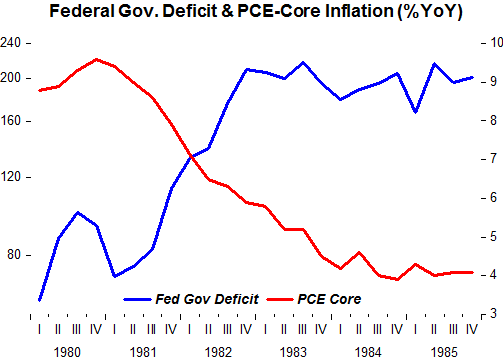 Just look at the chart that puts the fiscal deficit during the first half of the 1980s together with Core PCE inflation. A Martian landing on earth around 1982/83 would take back with him the idea that if you want to defeat inflation have the fiscal authorities crank up the deficit! And who´s worried about the Fed´s “incapacity to fight” inflation at the present time? In truth it is becoming consensus that the Fed has the economy exactly where it wants! And that has happened with the deficit balooning in 2007-09 and contracting significantly since mid-2012. 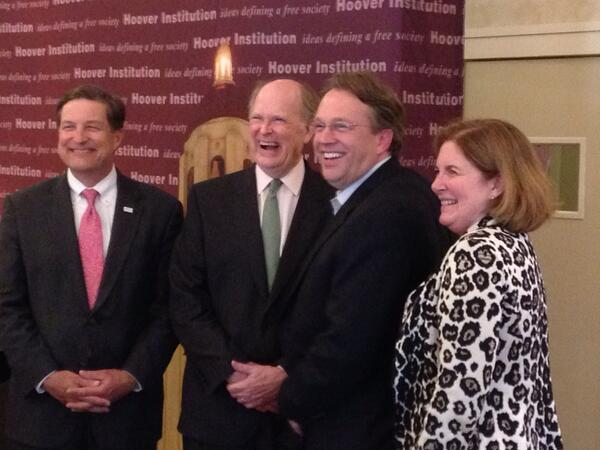 PS Are they (Lacker, Plosser, Williams & Geoge) laughing at Cochrane? Or just in desperation? American health care is desperately in need of reform. But what form should change take? Are there any useful examples we can turn to for guidance? Well, I know about a health care system that has been highly successful in containing costs, yet provides excellent care. And the story of this system’s success provides a helpful corrective to anti-government ideology. For the government doesn’t just pay the bills in this system — it runs the hospitals and clinics. No, I’m not talking about some faraway country. The system in question is our very own Veterans Health Administration, whose success story is one of the best-kept secrets in the American policy debate. For the lesson of the V.H.A.’s success story — that a government agency can deliver better care at lower cost than the private sector — runs completely counter to the pro-privatization, anti-government conventional wisdom that dominates today’s Washington. That gets to the emotional heart of the Veterans Affairs scandal: at a V.A. hospital in Phoenix, veterans were not put on the lists for appointments where they belonged. They were shunted off to a secret waiting list, one that was a lie. The hospital did this to hide how long it was making patients wait for care. It blotted out their names and their needs; it struck them, dishonorably, from the rolls. And an interim inspector general’s report, released on Wednesday, said that the department had received complaints indicating a national problem. As bad as the situation, in the last few weeks, seems to have been, the report suggests that it may have been even worse. It is not just a matter of health care at a level lower than what veterans deserve, or a balky database: it is a fundamental insult. 1,700 veterans who were waiting for a primary care appointment but were not on the [electronic waiting list]. Until that happens, the reported wait time for these veterans has not started. Most importantly, these veterans were and continue to be at risk of being forgotten or lost in Phoenix HCS’s convoluted scheduling process. As a result, these veterans may never obtain a requested or required clinical appointment. Eric Shinseki resigned as secretary of the Veterans Affairs Department Friday after meeting face-to-face with President Obama about mounting evidence of widespread misconduct and mismanagement at the agency’s vast network of medical facilities. Lael Brainard is on the ‘confirmation queue’, while Jerome (who?) Powell is on “probation” waiting to be “allowed to continue” in his post for another term. After these Board seats are filled, one will remain empty! Thanks in part to their lengthy 14-year terms, Brainard and the other Fed newbies will help the president leave a stamp on the most watched economic body in the world long after he’s left 1600 Penn. But if the Fed continues ‘messing-up’, it will be a worthless ‘penny stamp’. Stanley Fisher ‘lucked-out’ (US definition) during his tenure at the Bank of Israel, when the country managed to avoid the worst of the international crisis. 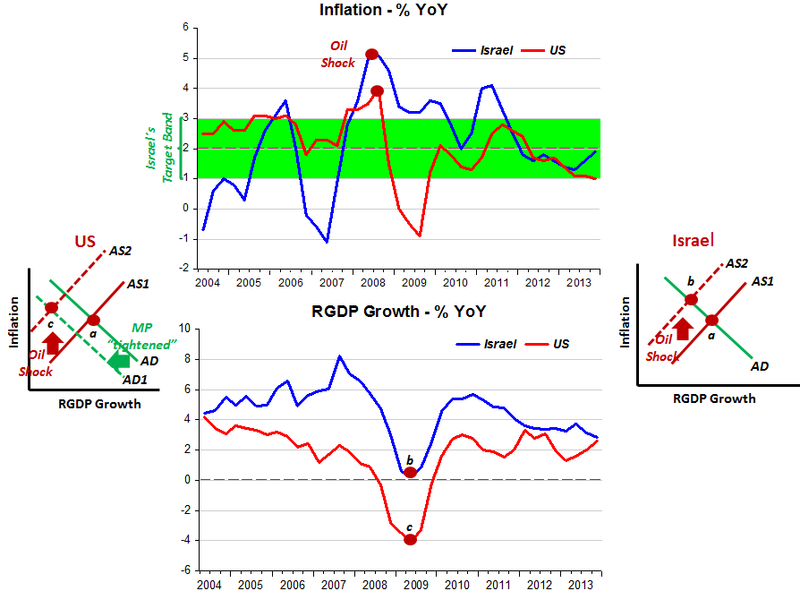 It´s encouraging (at least for market monetarists) to observe that that was very likely due to the fact that Israel managed to maintain nominal aggregate demand (NGDP) on a level trend, not falling prey, like the US and others, to the siren song of the oil price rise. There are those who support setting a nominal GDP target. I think that this is very impractical. 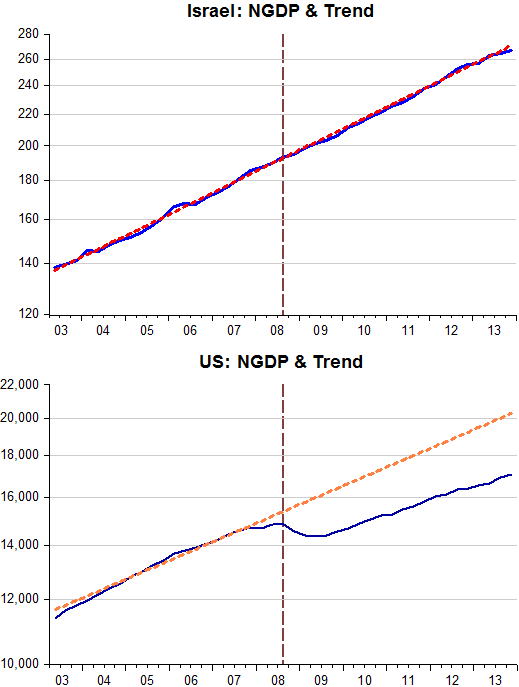 The data that we receive on nominal GDP are very unstable. There are changes of whole percentage points between the various estimates of GDP. For this reason, I think that there is no reason to use nominal GDP as a target. One piece of good news: As of today Jeremy “in all the cracks” Stein will be there no more! Last December, I speculated that GDP growth in the United States would rise in 2014 from the subpar 2% annual rate of the previous four years to about 3%, effectively doubling the per capita growth rate. Now that the US economy is past the impact of the terrible weather during the first months of the year, output appears to be on track to grow at a healthy pace. The primary driver of this year’s faster GDP growth is the $10 trillion rise in household wealth that occurred in 2013. According to the Federal Reserve, that increase reflected a $2 trillion increase in the value of homes and an $8 trillion rise in the value of shares, unincorporated businesses, and other net financial assets. As former Fed Chair Ben Bernanke explained when he launched large-scale asset purchases, or quantitative easing, that increase in wealth – and the resulting rise in consumer spending – was the intended result. The U.S. is still in the midst of the Great Recession. Yes, there have been recent encouraging economic reports. But, the U.S. economy remains weak and vulnerable. Aggregate demand tells the tale. The picture shows that while during the “Great Moderation” of 1987-07, nominal aggregate demand (NGDP) grew at an average rate of 5.6%. After tanking in 2008-09 it has grown at only 4% during the so called “Great Moderation” of 2010-14! Just why is the U.S. nominal aggregate demand so weak? It’s all about money. Money dominates. The next picture complements the picture above showing how the economy has been ‘downshifted’. And the next picture shows the role of money, here given by the broad (M4) Divisia Index (which differs from the common simple sum M4 by giving different weights to its different components according to their degree of ‘moneyness’, where, for example, a money market fund deposit weighs less than a current account deposit). 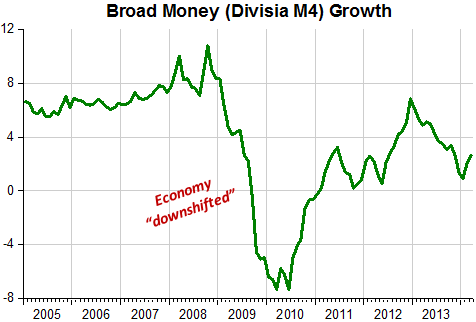 Note that at the exact time money demand rises for very ‘reasonable reasons’, money supply growth turns negative. Nominal aggregate demand picks up again when broad money growth turns up. Unfortunately it hasn´t grown at a rate sufficient (given money demand) to ‘direct’ nominal spending towards the level of nominal aggregate spending experienced during 1987-07, or even to somewhere closer to it than the level in which it is stuck!